Compare Pennsylvania Electric Rates and Lower Your Bill! 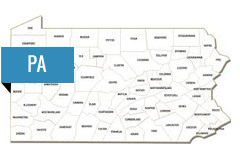 Pennsylvania offers one of the most active and competitive deregulated energy markets in the country offering utility customers throughout the state the ability to switch to a competitive PA electric supplier and lower your Pennsylvania electric rates. Over a decade ago, Pennsylvania began deregulation and now offers all utility customers the option to switch to a competitive electricity supplier or gas supplier in order to lower their utility bills each month. There are approximately 1.7 million Pennsylvania utility customers that have now switched to a competitive Pennsylvania electric supplier, other than the utility, to lower the supply costs on their bill each month. Compare PA electric rates now. Millions of electric customers in Pennsylvania have switched to competitive Pennsylvania electric suppliers to lower their electric bills. The number of licensed suppliers offering competitive rates to consumers continues to grow keeping rates as low as possible. There are several benefits to switching suppliers including no fee to switch, no interruption in service and the fact that you continue to receive your bill from the utility. Deregulation is open to residential, small commercial, large commercial and industrial customers in Pennsylvania looking for energy cost savings. Compare Pennsylvania Electric Rates or Receive a Commercial Quote. We can help answer any questions about the PA power switch program and the savings that you can receive. Call us at 888-955-8824 or email info@maketheswitchusa.com. Pennsylvania has some of the highest energy rates in the country and continues to address this with a growing number of electric and gas supplier offering lower rates to customers as well as increasing the state's efforts of using more renewable energy sources. Pennsylvania energy suppliers are required to use a certain percentage of renewable energy when generating power supply for their customers. Electric deregulation in Pennsylvania allows customers to choose a competitive electric supplier that is different from their utility who will supply electricity to a customer’s home or business while the utility continues to deliver it, provide maintenance services and manage the billing process. The transportation and delivery services remain regulated by the state. In the past few years, Pennsylvania’s competitive retail electricity market has experienced significant growth with electric customers saving a lot of money on their utility bills each month. PA electric suppliers provide a variety of rate offers for customers to choose from including fixed and variable rates. Fixed rates are typically very popular as they provide rate security for customers with the rate being fixed for a set term stated upon enrollment. Variable rates can fluctuate month to month and can be beneficial in a market where electricity rates are going down. PA electric customers are continuously learning that they have the power to switch to a new electric supplier and potentially save significantly on their electric bill. No fees to switch, no interruption in service - just lower rates.